Given the numerous opportunities to attend conferences large and small, you can find yourself participating in many social receptions. Such events allow community members to meet each other to forge informal ties, strengthen friendships, and build professional connections. #1: It’s OK to join a conversation in progress, even if you don’t know the people. This is hard, especially for introverts. Fortunately, the etiquette of social receptions allows this, as long as you’re polite. Such events aren’t meant for private conversations. By being invited to the event, you’re implicitly granted permission to mingle and meet people. #2: Allow others to join your conversation. Social gatherings aren’t for one-on-one discussions. Be mindful of others trying to join the conversation. Make the person feel welcome by facing at least partially toward them. Briefly explain what you’re currently discussing, so they can contribute. Consider posing a relevant question to make it easier for the newcomer to join the chat. #3: Introduce yourself when you run across someone you’ve met before but don’t know very well. Even if you recall their name, they might have forgotten yours. Make it easier for the person to remember who you are by including your name in your greeting. Offer some context, perhaps by mentioning where you last met. #5: Move from group to group without spending much time with any one person, if you wish. Social receptions are meant to let people mingle and meet each other. Don’t worry about politely thanking the person for the chat when you feel ready to move on, then join a conversation with someone else. #6: Bring a card with your contact details and offer it to the people with whom you’d like to stay in touch. This’ll help people to remember you and have a way to contact you. A business card might be too formal, but a card with your name, email and/or social media details might be appropriate. 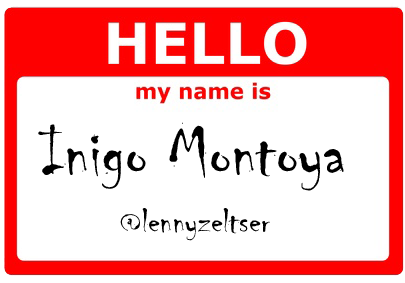 #7: Wear an easy-to-read name tag. It helps people whom you’ve just met or who might not remember your name to strike a conversation. If you’re known by your Twitter handle or blog, add that detail to the tag. Pro tip: Attach the name tag your right side, since that’s where the person will probably look if shaking your right hand. #8: Follow up with people you meet by email or the social platform of their preference shortly after the event ends. A brief “it was nice to meet you” note if fine, as long as you remind the person who you are, how you’ve met or what you discussed. Share some useful information or a pointer that’s relevant to your conversation. Don’t wait too long, but also be mindful of multi-day events during which the person might be too busy to notice your note. #9: Don’t overindulge in food and drink at the reception. Such events often offer refreshments to keep hunger at bay and create a relaxing environment that encourages socialization. Unless your primary objective is a free meal, focus on verbal interactions with others. Keeping your mouth stuffed with snacks or consuming too much alcohol will likely get on the way. Keep these tips in mind when socializing during conferences and networking events. Be considerate of others, give yourself permission to mingle, and make it easier for others to interact with you during and after the reception.